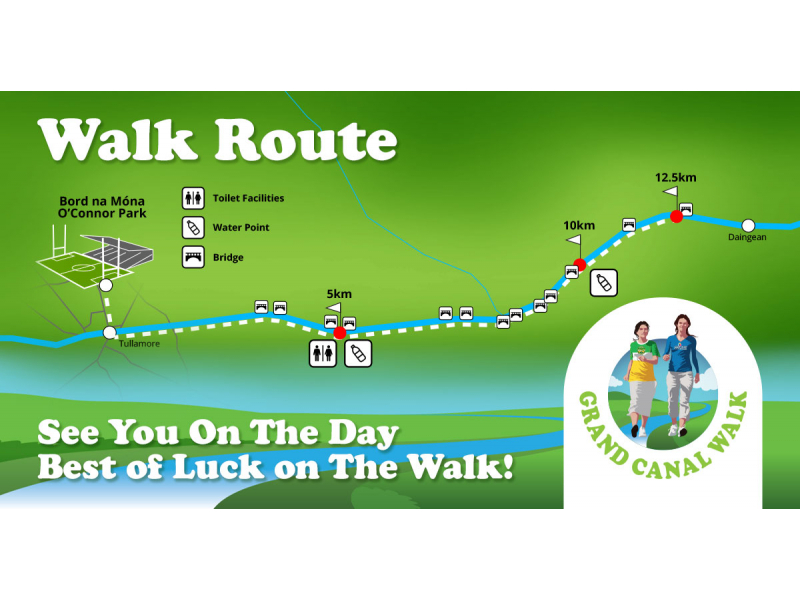 The Grand Canal Walk will take place in Tullamore this Saturday the 27th of October. The walk/run will begin and finish at O’Connor park in Tullamore with the route heading along the east of the canal. Due to a high level of demand registration will now begin at 7.30 am and will continue until 11 am from which participants can begin their walk/run once they have registered. Any walkers/runners that have registered online must still come to O’Connor park before they begin their walk/run. You can also register on the day with the charge for adults €25, children from the age of 10-18 is €5 and children under the age of 10 go free of charge. The route will be sign posted with stewards present and each kilometre point will also be marked. The walk/run will be completed via a loop i.e if a walker/runner wants to do the 25 km walk/run you will go out east 12.5 km and then turn around a return back 12.5 km to O’Connor park and the same principle applies to whatever distance each individual walker/runner wants to do. There will be food and refreshments available in O’Connor park on completion of the walk/run. 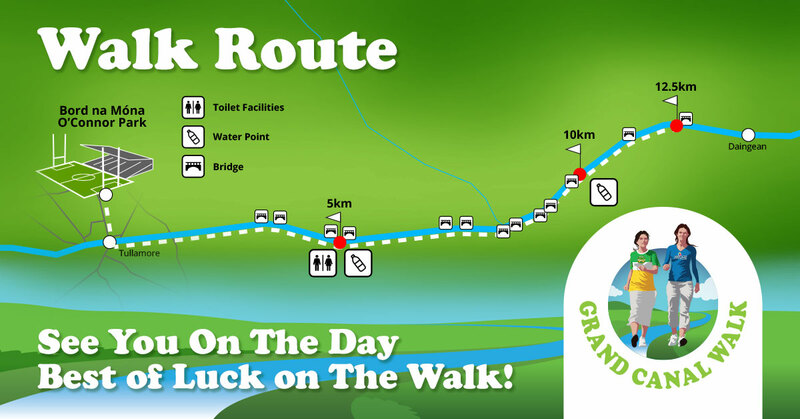 All Walkers will be listed on the Grand Canal Walk website. Invite friends and family to sponsor you with our ‘Sponsor Me’ link on our website & Facebook. Free Food, refreshments, and entertainment at finish. 2nd prize - €500 holiday (or cash equivalent).